At Exeter Tutors we have a selection of the best, most experienced and highly-qualified Secondary Tutors. All of the core subjects English, Maths, Biology, Chemistry and Physics are well catered for at Key Stage 3, GCSE, iGCSE, IB and A’ level. In addition, we have secondary Tutors in Humanities and Modern Foreign languages, Ancient History, Ancient Greek and Latin. Please don’t hesitate to get in touch with your specific need. 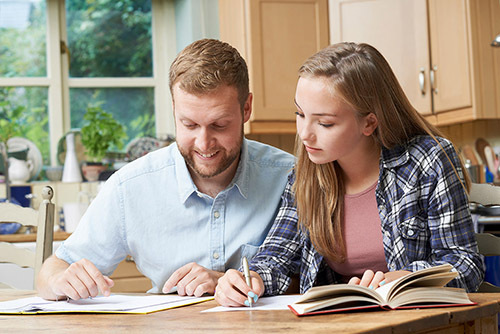 We believe that Private Tuition needs to be tailored to the Student. That’s why our service provides one-to-one learning with your Child. We also believe that Private Tuition should be carried out by experienced and qualified professionals. All of our Tutors are qualified teachers with years of classroom. For students taking GCSEs we offer two fantastic revision opportunities. Our Easter and May Revision Workshops are invaluable in preparing your child for their GCSEs in Science and Maths. They comprise of an intensive 4 days of guided work to focus on key areas and bump up grades. Launching in April in 2019, we are very excited by our Revision Retreat. Spend 5 days at a luxury campsite and get 5* revision support. There will be opportunities to learn about how to deal with stress and look after yourself during the exam period. We would be very happy to hear from you with any questions. Please contact our experienced Tutors by email, phone, completing our form or chat with us online.